Chateau de La Selve is located in the Ardeche region of Southeastern France, in the department of the Auvergne-Rhone-Alpes. The Ardeche river flows into the Rhone river in the southeast of the department and the landscape is one of contrasts, with low lying areas and dramatic mountains. Chateau de La Selve is a 40 hectare estate growing and producing organic and biodynamic wines. 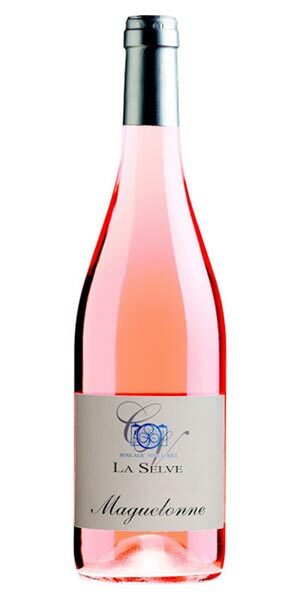 Rose de la Selve can be summed up as a mineral, fruity and fresh blend of 40 % Grenache, 40 % Cinsault, 20 % Syrah. The vines are on average 30 years old and the grapes are sourced from different plots of variable soil composition (types of clay and limestone) at altitudes ranging from 121 meters to 153 meters above sea level. The yields are a low 45hl/ha. The grapes are fermented with indigenous yeasts (the yeasts naturally present on the berry). The wine is aged on the fine lees in concrete tanks for a period of time before bottling. In the glass, the wine is pale salmon in colour with a delicate nose of red fruit, stone fruit and floral notes. The palate is fresh with pleasing minerality.